Brown University professor lectures at Drew. Omer Bartov specializes in European history and German studies. March 2019 – The genocide in the Holocaust can be perceived in a detached and compartmentalized way: guards following orders from afar, herding anonymous victims to gas chambers. 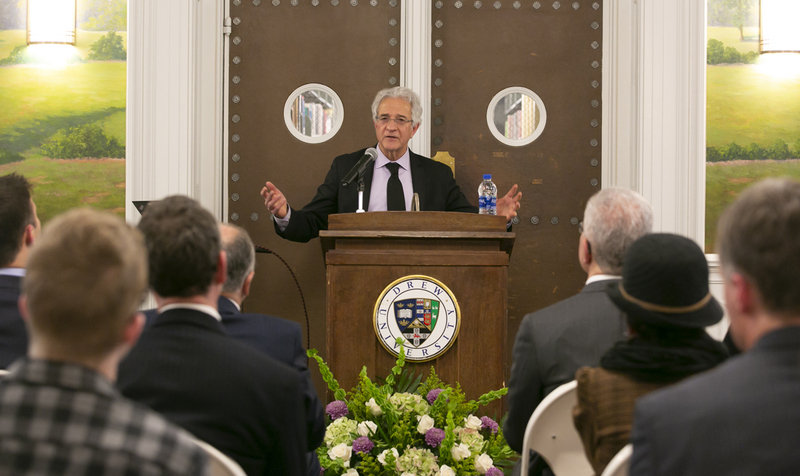 The Shoah in Eastern Europe was more intimate, however, with half of the victims killed in their own towns—with the knowledge and at times help of neighbors, noted Brown University Professor Omer Bartov, speaking at Drew University. 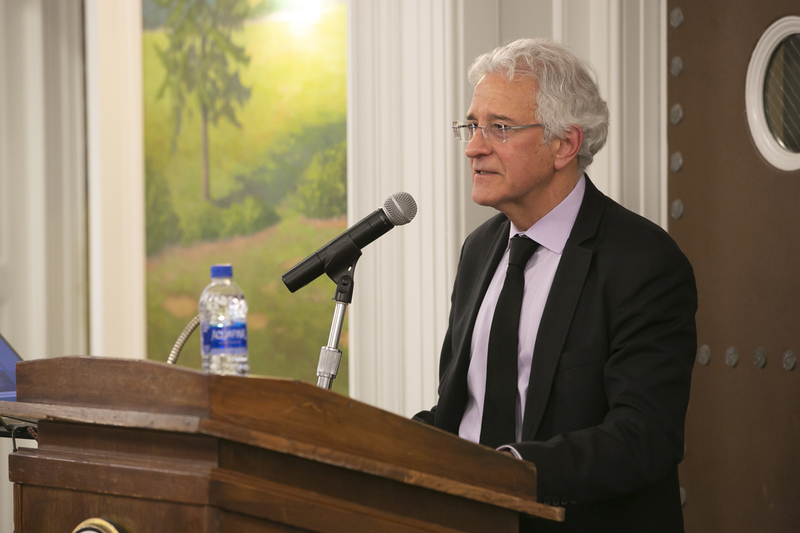 Bartov, a guest of the George and Alicia Karpati Lecture series, examined the Holocaust from the perspective of the town where his mother spent her childhood in Anatomy of a Genocide: The Life and Death of a Town Called Buczacz. Though small, Buczacz (now Buchach in Western Ukraine) is the birthplace of notables like Nobel Laureate writer Shmuel Yosef Agnon and Nazi hunter Simon Wiesenthal. Bartov’s mother emigrated to Palestine before World War II and the author grew up in Israel. The answer lies in the rise of nationalism (and the persistence of anti-Semitism) after the breakup of the multi-ethnic Austro-Hungarian empire in WW I, according to Bartov. By the end of WWII, more than half of Buczacz’s mostly Jewish population of about 15,000 had been killed, as the town was torn by infighting between Poles and Ukranians and occupation by Germany and the Soviet Union. Before the lecture, Bartov met with students and Professor Joshua Kavaloski, who’s also director of Drew’s Center for Holocaust/Genocide Study. Topics included Bartov’s life and education in Israel, his perspectives on Israel/Palestine relations and his responses to Holocaust denial. In describing his research process, he reinforced the importance of archival materials from private as well as institutional collections. The University Library’s Karpati Lecture series was established in 2005 by Michael and Noemi Neidorff in honor of Noemi’s parents, welcoming outstanding authors in Jewish/Holocaust studies and Eastern European history. Past speakers include Elie Wiesel, Daniel Mendelsohn and Robert Fisch.